The uncompromising light-weight harness is impressing through reduction – however it doesn’t lack any comfort. In favour of a comfortable sitting posture with active support function partly strengthened materials were used and not every gram saved. This is promoting the tearing strength and because of that the durability of the product. 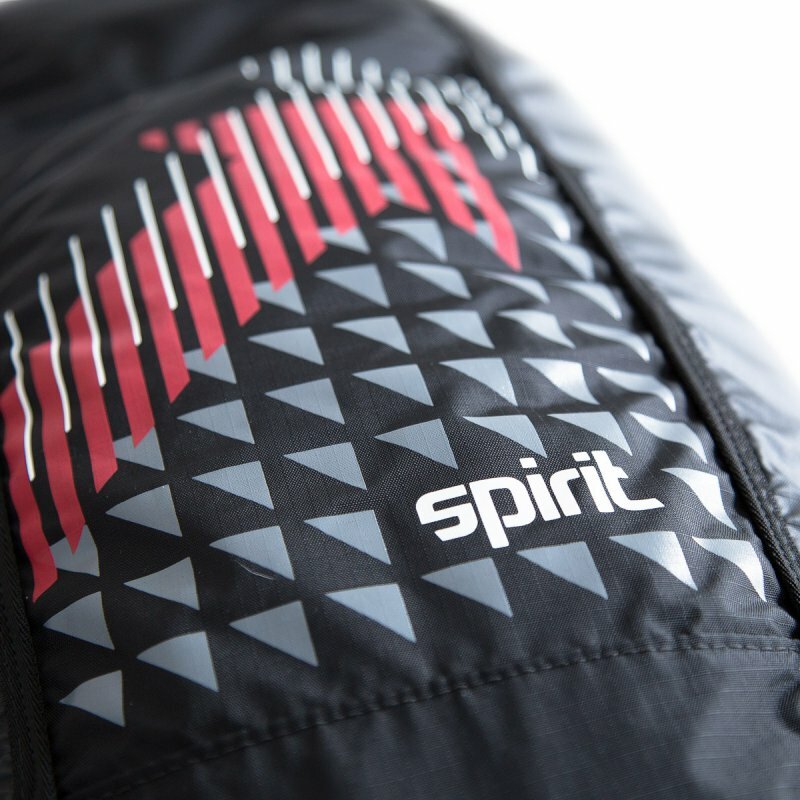 The SPIRIT is a reversible harness and was designed for the alpine Hike&Fly usage. The bribing easy construction and the usage of high quality high-tech-materials are responsible for minimal weight. Nevertheless cross country flights can be made without any problems. The SPIRIT stands for the free flying, so everything that’s not strengthening the functionality was being waived. The SPIRIT doesn’t have seat boards but is equipped with a single-leg-suspension, which is catering for more freedom of movement and causing a more direct feedback. 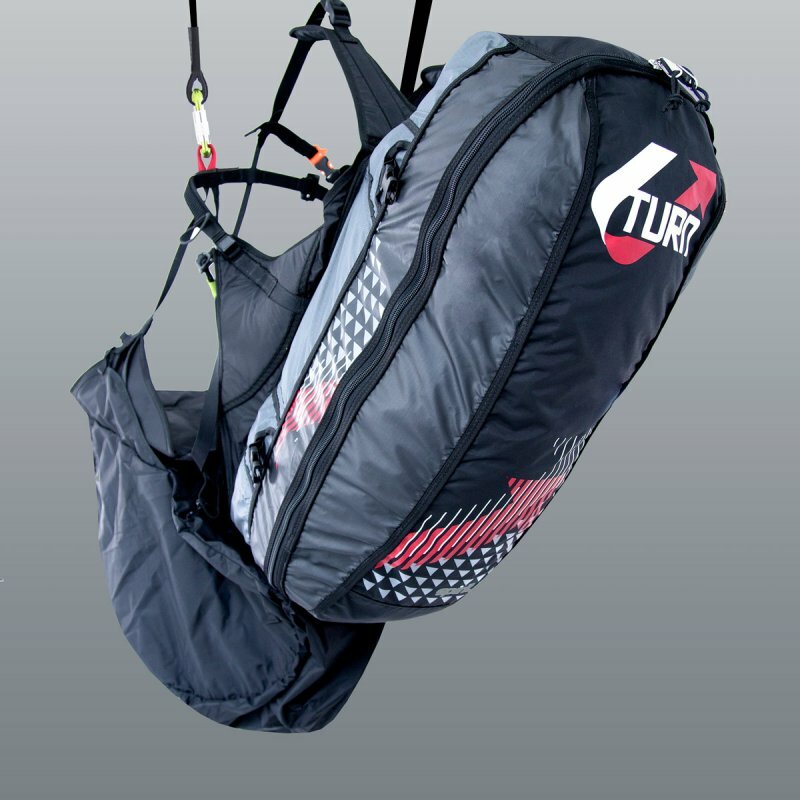 U-Turn is setting great value upon the biggest possible protection – so the SPIRIT is despite the extreme light-weight-design, equipped with an accumulated-air-airbag which can be zipped off. Additional the very generous back upholstery is supporting and strengthening the protection. The backpack is offering storage space for the whole Hike&Fly-equipment which is sufficiently protected by the robust outside material. An ergonomical load bearing system with generous padding guarantees optimized load arrangement. Material loops with elastic band and outside pockets are offering additional opportunities. The minimal weight and optimized pack size also make it a favored travelling companion. The single-leg-suspension also make it an interesting option for tandem pilots. The SPIRIT is addressed to pilots, who prefer small pack size and minimal weight. 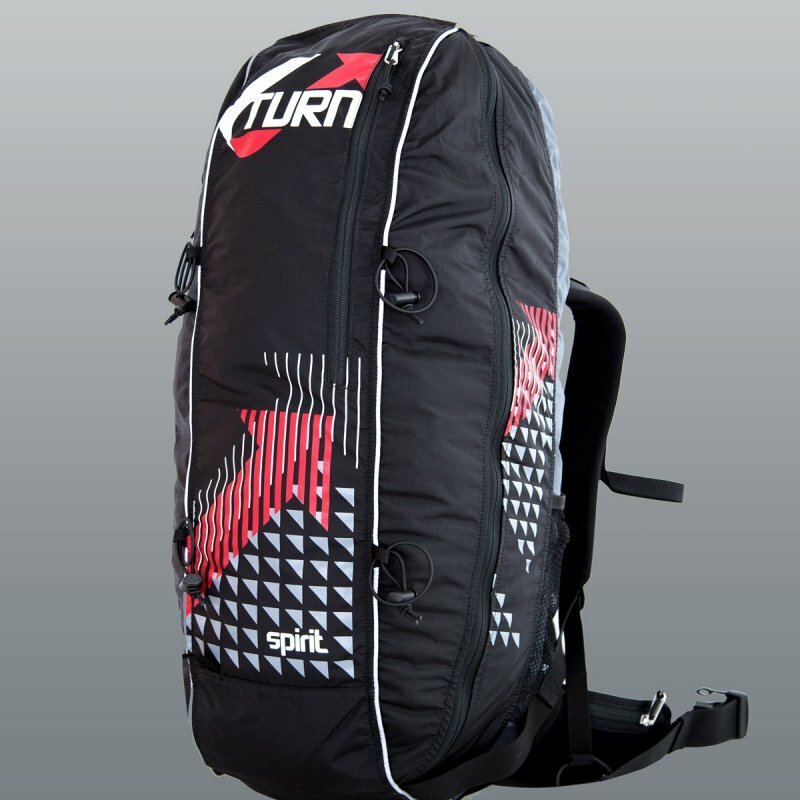 It is designed for the durable usage and the high demands of alpine Hike&Fly adventures. The SPIRIT is available in one size which is certified LTF 91/09 und EN 1651:1999 – Please take a seat!